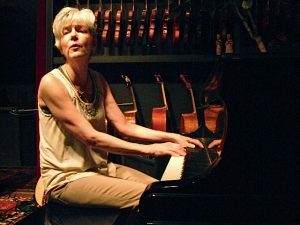 Lydia began writing songs with children in New York City in her capacity as an Orff music teacher. Several songs on her albums are co-written with students in arts-in-education programs. Lydia is invited to work with children, in libraries and camps and educational settings. With a variety of programs and performance skills to draw from, Lydia is a natural at leading workshops. Lydia has been combining the joy of making music with the discipline of learning to create delightful songs. The children have fun learning the craft of songwriting, researching the subject and performing their creation for an audience of peers. Lydia works with a multitude of themes or leaves the topic open for spontaneity. The songs can be written for a play, a specific events, or just for fun. Lydia has worked extensively with special needs groups of all ages.